1. A private group tour. These are intended for larger groups, like garden clubs. These must be arranged in advance, with a charge of $20 per person, with a $250 minimum. Lead by either Jill Nooney, Co-Founder or John Forti, our Executive Director. ​It may be possible , if numbers allow, to preorder a Boxed Picnic Lunch (see info below) or here is a list of local eateries. 2. A self-guided tour on Public Open Garden Days. You will be given a map with a suggested route, and docents are stationed around the garden to answer your questions. You can spend as much time as you want. 3. A Garden Guide Tour on Public Open Garden Days. These are free with your admission donation on August 25th and September 15th Open Garden Days at 10:30 am and 1 pm. A knowledgeable guide walks around with you for maybe 1-2 hours, giving you an overview of Bedrock Gardens and answering questions. A very good experience. 4. 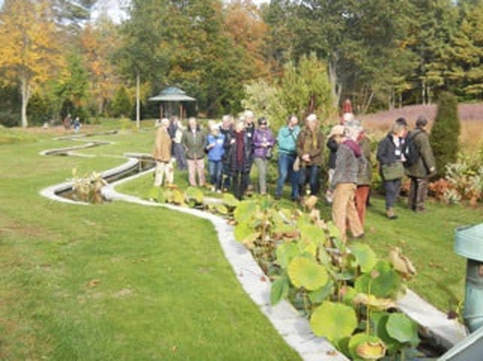 A Garden Art Tour On Public Open Days. Also free with your admission donation on August 25th and September 15th Open Garden Days at 2 pm. The tour covers an overview of Jill Nooney's garden sculptures, including inspirations, materials used, recurring themes, some quotes from the artist, and a focused look at more than 30 individual pieces throughout the garden. Jill, with the International Dendrology Society from England. 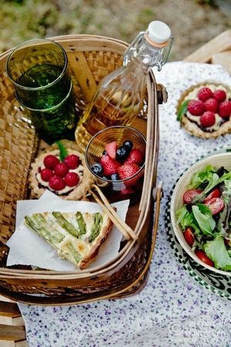 Boxed picnic lunches can be pre-ordered. Details and menu here.